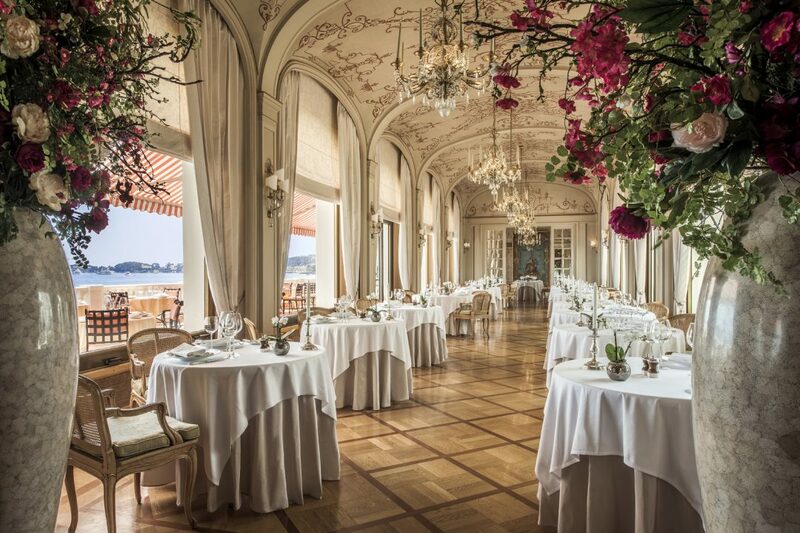 If there is one Michelin Star restaurant in the French Riviera you must not mis, the restaurant at La Réserve de Beaulieu Hotel is it. 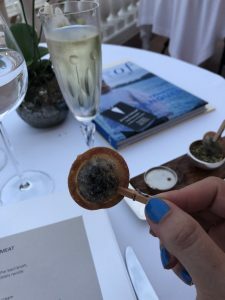 As a restaurant reviewer with over 20 years experience globally, there are not a lot of dishes you remember, but recently I had one I will never forget. It’s called an egg mystery. 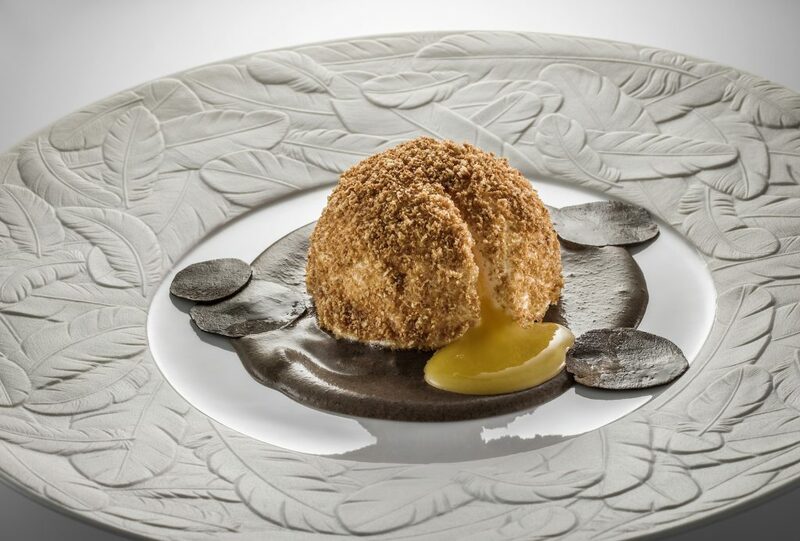 The Egg Mystery is a truly magnificent dish at Restaurant Des Rois within the opulent La Réserve de Beaulieu & Spa. And the only way to describe this gastronomic dish is as a delicious, gentle, savoury marshmallow which melted in the mouth, and was a taste sensation of spice, salt and smooth liquid. Absolutely delicious in flavour, texture and presentation. Officially the dish is created with whisked egg whites, hay smoked, ashen brioche and button mushroom veloute. Unofficially it is a taste sensation that is delicate, soft, fluffy, and rich with flavours of mushroom, marshmallow like sponge and spices even I couldn’t identify. It is indeed a mystery. 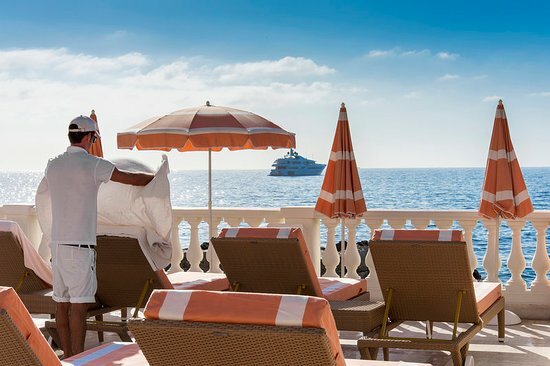 I enjoyed it in one of the world’s most spectacular settings, sitting on the terrace at the palatial Michelin star Restaurant De Rois within the opulent La Réserve de Beaulieu, a stone’s throw from Monaco. Both the restaurant and hotel are iconic, and I was well aware of the A-list guests who had dined there a generation or two before me, including Frank Sinatra, Rita Hayworth, Gregory Peck, Clark Gable and Liz Taylor. 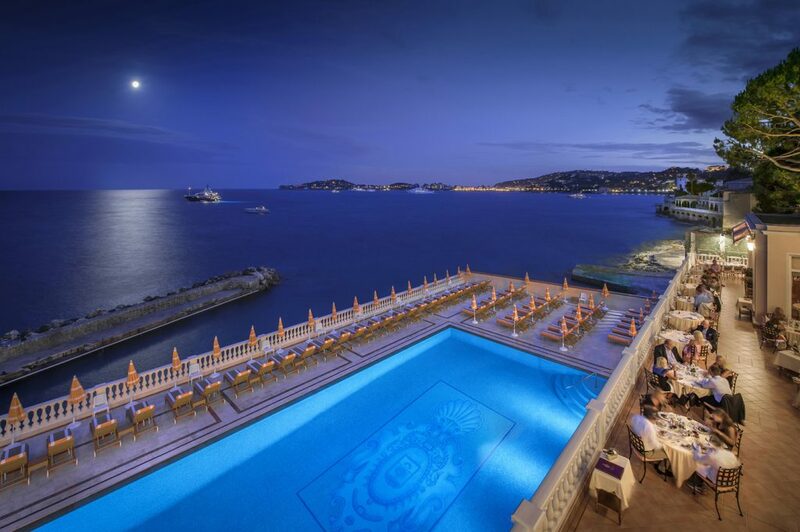 This is a luxurious family owned hotel, which was built around the restaurant, after it quickly became one of the most popular on The French Riviera, the reputation of this unique venue is so legendary. 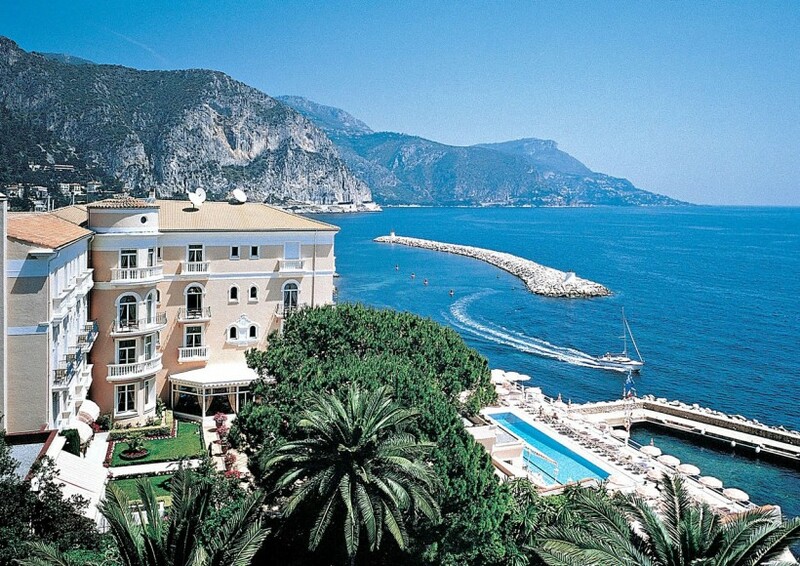 Located between Nice and Monaco, Beaulieu-sur-Mer means ‘beautiful place’. 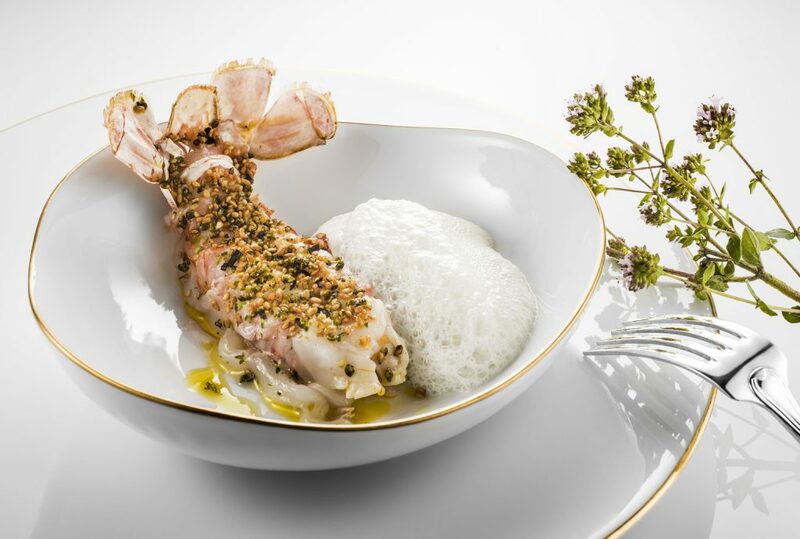 But back to dinner, the langoustine dusted in black & white sesame seeds was another spectacular dish, and sat in a blend of light, fluffy citrus sauce and tasted light, flavoursome and filling. The strawberry vacherin with citrus foam was more art than food, and tasted delicious. Berries are always so sweet in this part of the world. Sitting on the terrace of this extraordinary restaurant in the small seaside town, in the south of France, this is a location for romance, intimacy and a long drawn out meal with wines elegantly matched to each course. There are rare occasions when Michelin starred restaurants can be over-rated or the food over-done. This isn’t one of them. Every dish and mouthful was thought out, carefully crafted and flavours, textures and presentation considered in acute detail. Yannick Franques is the new chef, and comes loaded with years of credibility, which includes an internship with Alain Ducasse and Christian Constant, as well as time in the kitchen at Hotel Crillon and Le Bristol, Paris. 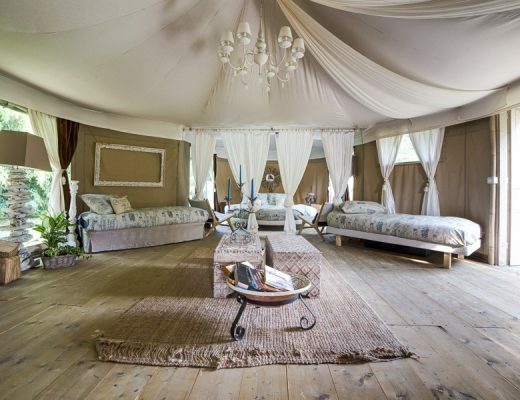 But this is a restaurant experience where every element of the evening forms part of the exceptional experience. The sommelier is passionate about wine and full of global knowledge to share. He even has his own blog, and has opinions and information on everything from organic wines to the use of glass corks & screw tops, and the wine pairing was extraordinary. I insisted on French wines only, and was not disappointed. The waiters could be movie stars, they are so well dressed, well presented and well mannered. 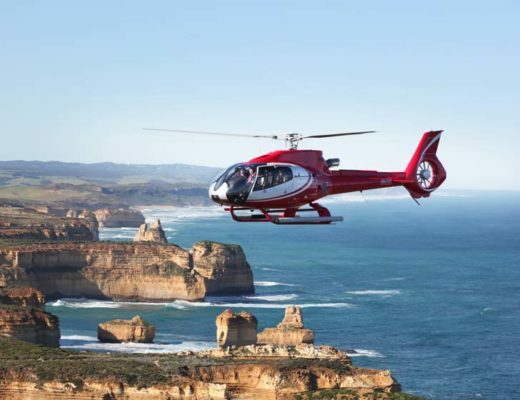 There are 3, 4, or 5 course meals available on the ‘discovery’ menu with matching wines, as well as a simple fork to fork four course menu for something lighter and without wine pairings.